Toe guards on all castors. Up to 1300mm platform height. Ideal for Smaller Workshops and Stores. Heavy duty construction for reliability. Supplied with both work platform and tynes. High quality, heavy load bearing castors for long life and ease of use. 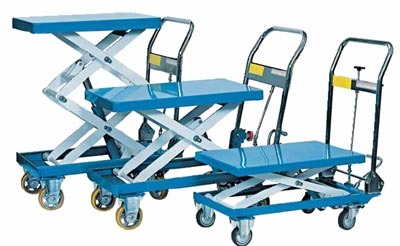 Perfect for manouvering pallets within the workplace. Poly over Aluminium steer wheels with double sealed bearings for quiet operation and long life. Stainless Steel model for ultimate corrosion protection.